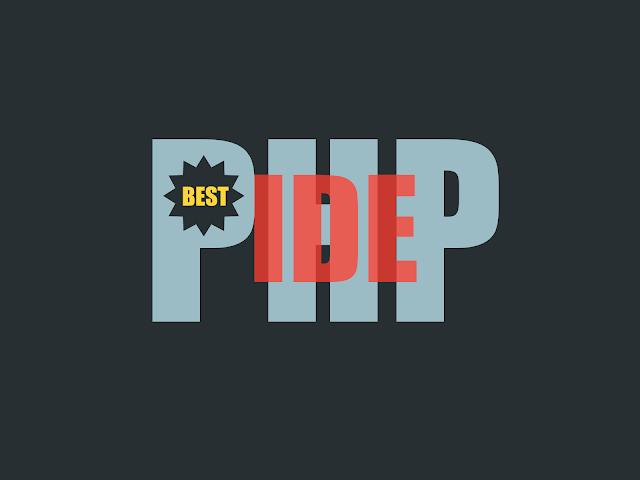 Looking for best PHP IDE? We have short listed some of the best PHP editor including paid, free and open source options. These PHP IDE may help you be even more productive on web development. The use of a IDE eliminates a lot of efforts that goes in web development. A PHP language aware editor can certainly help you focus your attention on real job. Some of these IDE are very popular and used by thousands of PHP developers and programmers on regular basis. PHP is one of the most popular web programming language on the planet. The open source community of PHP has contributed many good tools for developers productivity, however there is no one size fits all. Every project is unique and requirements and preferences of developers are different. 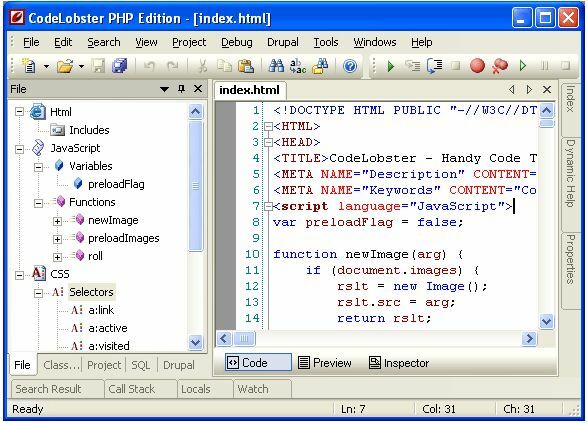 This article includes list of some most popular PHP IDEs: Codelobster PHP Edition, Eclipse PDT, Komodo IDE, NetBeans IDE, PHPStorm, NuSphere PhpED. Komodo ActiveState is a PHP IDE that can be used as an international language development environment and supply Ruby, Perl, and Tcl Python. It can be installed using of Smarty and Zend PHP frameworks. You can also use integration involving version control systems (CVS, Subversion and Perforce). Supported operating systems: Linux, Windows and Mac OS X. Komodo allows you to begin CGI Environment Simulation and construct web server holodeck. It simulates activities in a real web server. One of the advantages of CGI Environment Simulation is very fast installation. It is possible to download free 21-day version of Komodo from ActiveState site. Aptana Studio, Developed by Aptana Inc. is a leading open-source HTML editor and many people are not aware that it also comes with a PHP support. Aptana Studio is developed on Eclipse platform. Supported operating systems: Linux, Windows and Mac OS X. It has in built support for Smarty and the recent versions for Aptana also include a Debugger for PHP developers. Aptana Studio is built on top of Eclipse platform and is very stable and powerful. Most of IDEs have the opportunity to add and parse any library or framework. After this well-read work autocomplete feature works for the corresponding classes. However Codelobster PHP Edition, thanks to a special plug-in, has a possibility to create PHP projects using many open source PHP frameworks automatically, add new modules and components, look-ahead Templates in special Theme Editor and serve Context with help original sites. The choice is yours! There are a number of other productivity PHP IDEs too, besides the ones mentioned. Do let us know if you have used some other tools or plug-ins which you were impressed with. Half of these are neiither free nor open source. What gives? @xkortazar - Thanks for your feedback, I appreciate it. We will fix the heading. You never fixed it. PHPEd and PHPStorm only have time-limited trials that are free. You're sloppy and a liar. Greg - I am sorry to see you disappointed with the post. The post includes NetBeans and Aptana which are free and open source. Unfortunately we did not find many free open source IDEs for PHP development therefore the list could not be huge. The post includes both paid and free IDEs to make it a significant list resource. The Title of the post is to include "with open source free options". May be title is still misleading? I would like to know the reason why you feel offended about this. Please feel free to suggest ways to improve this post/title. Do you know of other free open source options so we can include in the post of benefit of others. BS article, half of these are not free for a start. If you're going to mention commercial IDE's that's fine, if you state so clearly. In summary, a garbage article! If you're going to review free IDE's for PHP development then at least make sure they are free!!! Also, if you are going to mention commercial IDE's, then how can you not have mentioned Zend Studio? While I'm not particularly recommending it, it's expensive, it is one of the more 'serious' IDE's used by many professional developers - including myself. This article is utter garbage. If you're going to blog about PHP, at least show you know what you're talking about and DO YOUR RESEARCH. Lazy, inaccurate and misleading artictle, utter BS. If you want traffic for your blog then at least put the work in, otherwise you'll just get known as a spamming idiot. If you're not then amend this stupid article, you can't even get your facts straight. Yes I am annoyed, this kind of BS article just wastes all of our time and clogs up the search engines with what is basically empty waffle. You are now another one on my time waster list. If you do mention commercial IDE's then at least mention Zend Server, which is at least a fully featured and 'serious' IDE that is cross platform. Personally I use Aptana/Eclipse, because Zend Studio is stupidly priced. At least check your facts and do your research before you post this type of article. It's a completely useless article to the novice or the experienced developer - I can't quite believe you think you can get away with such garbage. There is enough garbage online, this is a fine example of a garbage article that is a complete waste of space. FYI I've 20 years experience in software engineering, 15 years web development, so I have a qualified opinion. Change that title, or change to free only IDE's, better still, steer clear of writing about stuff you clearly know nothing about! A completely useless and poorly researched article! @Xav - Thanks for sharing your opinion on this article. I have tried improving this article several times. However it still does not look qualifying. My research may not be as deep as yours since you have really extensive (20 years) of experience. I will take this as constructive feedback and try to improve on it in future. This post has been shared on several places with misleading titles that has caused a lot of confusion for our readers. Thanks for your comment and candid feedback. I appreciate it. Added Zend Studio to the list. This is not necessarily in any order. I'm not sure why you tolerate these idiots. Simply delete the posts. They're losers who have nothing better to do. I have used Yii which is a part of Codelobster, I think it is one of the best PHP framework that has the ability to develop Web 2.0 applications. Really with the help of this my half of the work is done and even the time consumed in building any application is less. Thanks for the feedback Varun, looks like it has come up now. That may have been a glitch. I appreciate you letting us know. I am really happy with this article because it helped me to find a very good freeware program (Codelobster) to code my websites. So thank you very much! You condesending idiots need to read the headline again. It doesn't say that all are are free or open source. Take your demeaning crap somewhere else. Is there a better than Komodo Edit 7 ? All your mentioned IDEs are good for PHP development but I suggest Eclipse which has Two plug-ins. The first, PHP IDE Project, is an Eclipse Foundation project, which means it is developed using the Eclipse Foundation's tools and processes.The other is PHPEclipse and is developed independently. I search the php IDE for myself and find this article. I think it's informative for me. After tested, besides Notepad++ editor, I choose Codelobster and netbeans IDE for coding. Thanks for list out the PHP IDEs which is best for website developers,it's very helpful for the learners.now i got the idea by go through this information. I was searching for PHP IDE. Certainly looking for IDE which is similar to visual studio? I admire your calmness and friendly way. May some critics have a point or not, I like how you handle it. Hi, thank you for share the php editor lists. I am only using notepad++ and will try PHP editor above. I have started learning php and searching for an good ide with every feature like in Microsoft Dot Net but does not get as much useful ide developed by Microsoft. Finally i have used Codelobster PHP Edition and i am very happy with its so much benefits and now making my own website using this IDE...Awesome share! "a small and fast IDE"